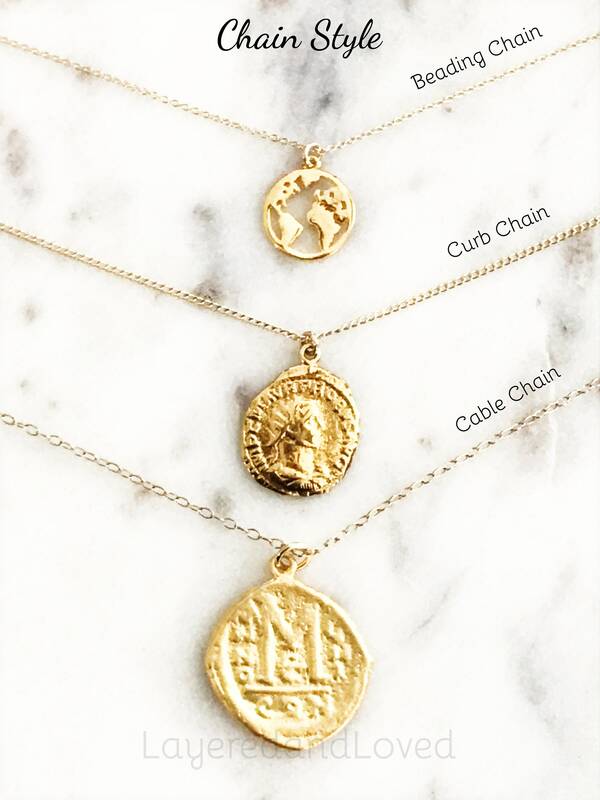 ♥ - 14k Gold Filled Chains and Connections. 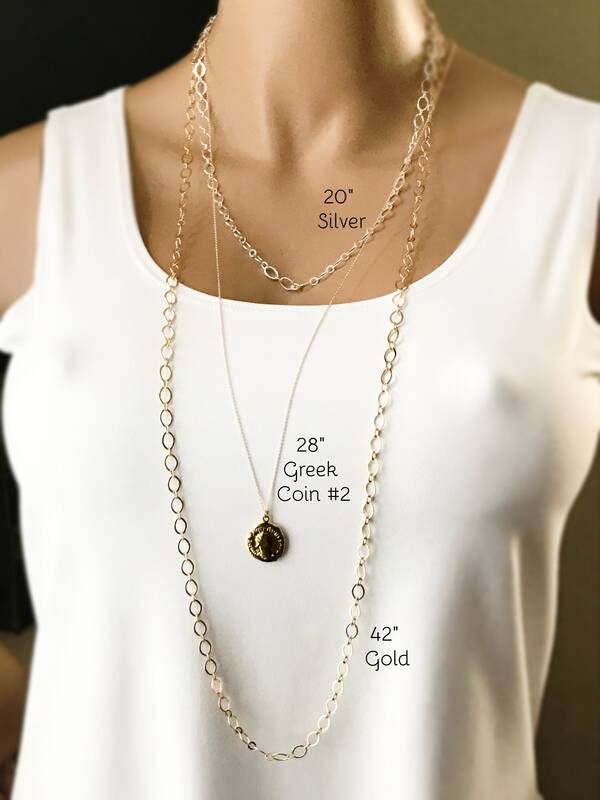 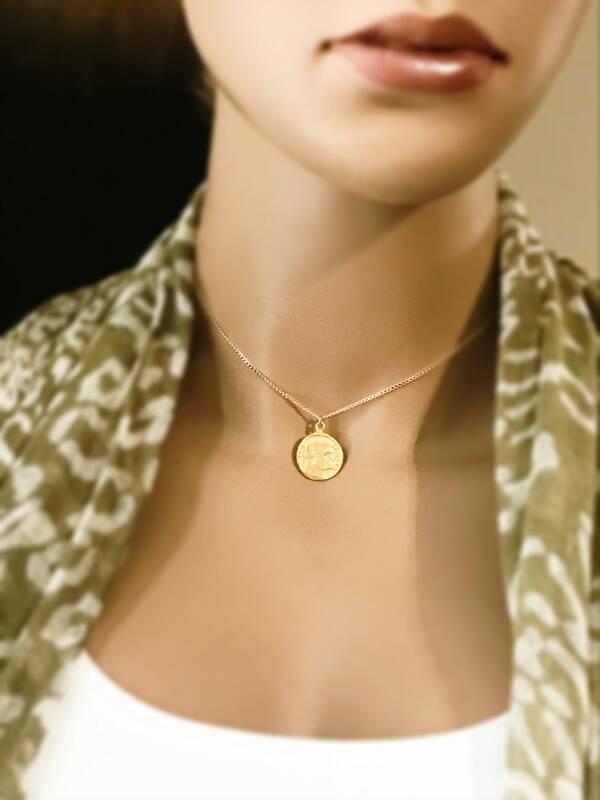 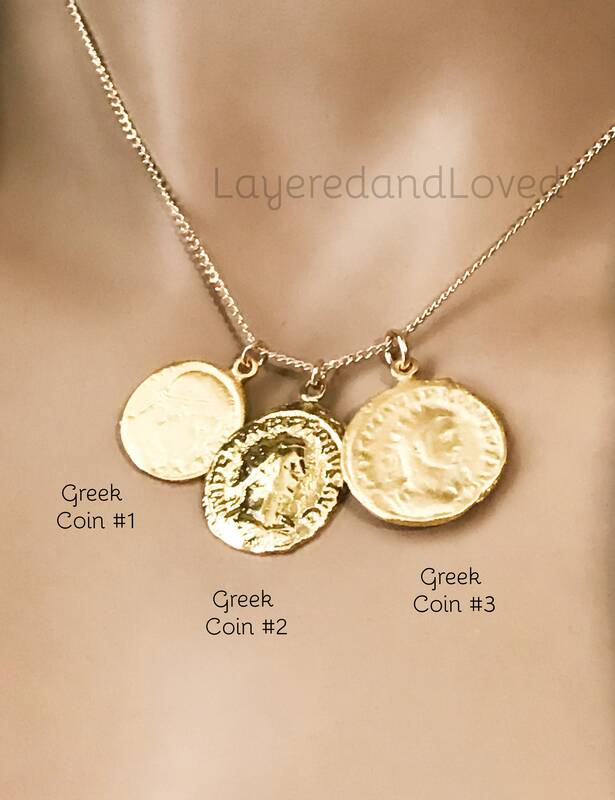 ♥ - 22k Gold Overlay Sterling Silver Greek Coin Pendant. 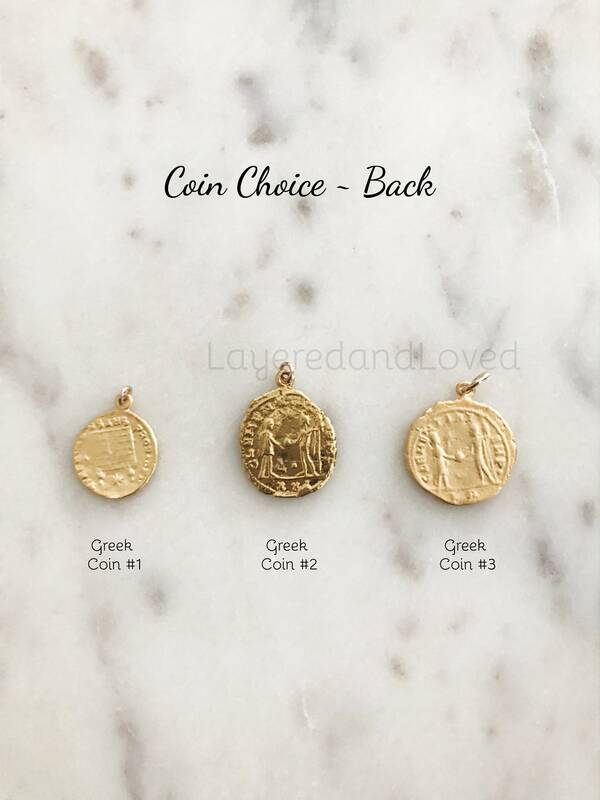 ♥ - Choice of Greek Coin Pendants, Double Sided 17 - 23mm. 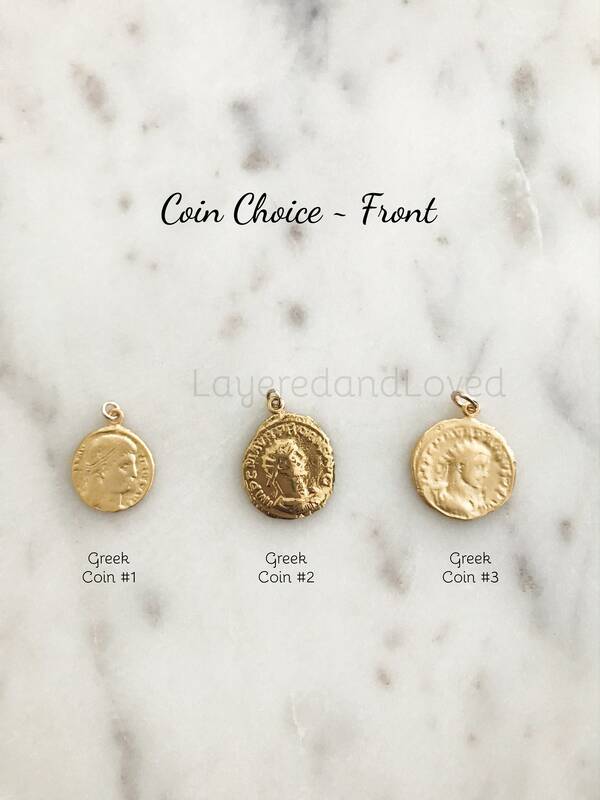 ~ Beautiful Greek coin replica pendants. 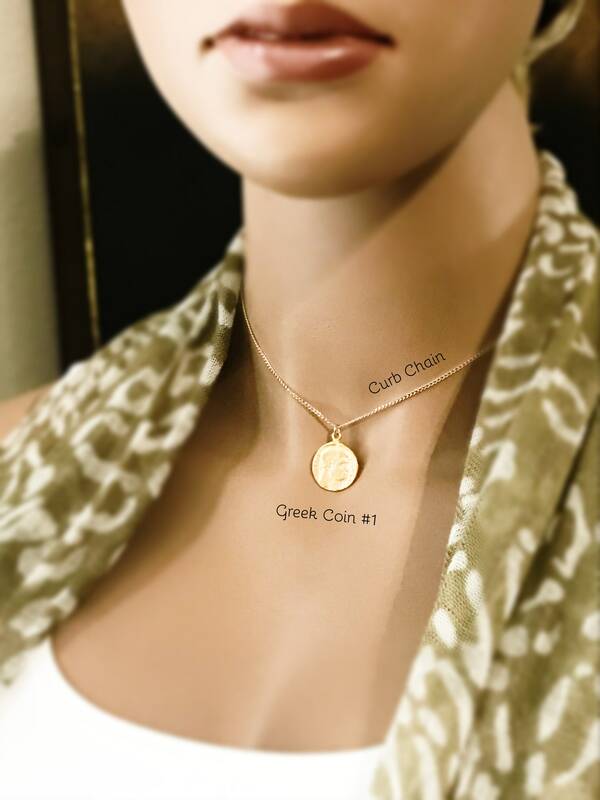 Choose the coin you would like and also your choice of chain. 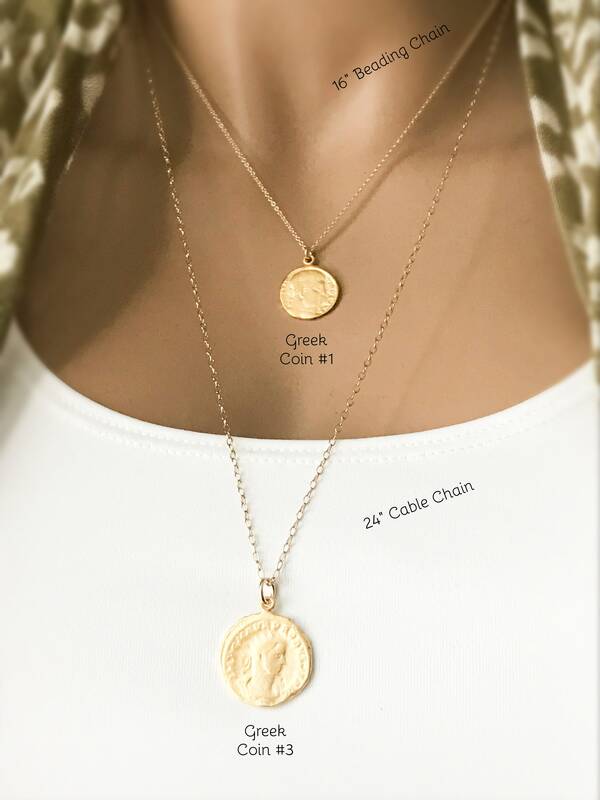 The *beading chain is more fine, the curb chain is light but sturdy, and the cable chain is a bit bigger. 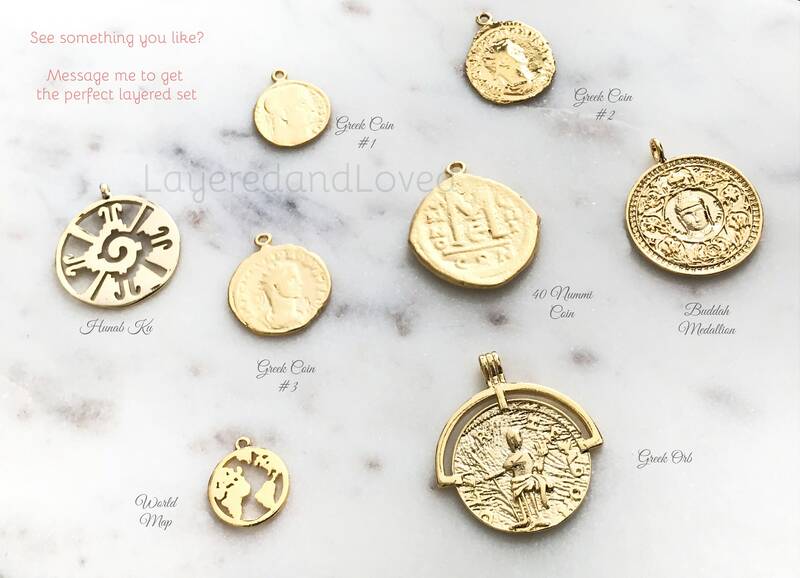 All are quality materials of 14k Gold fill. 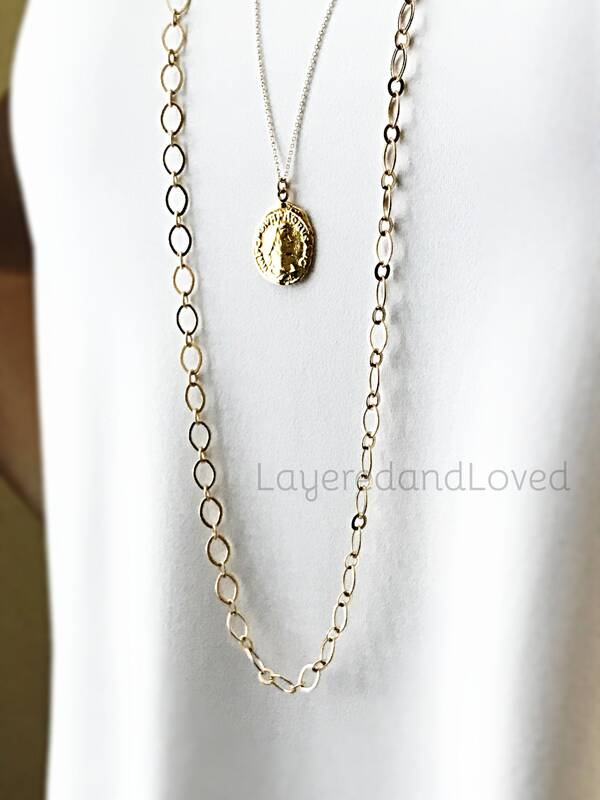 This necklace is handmade a very popular style, processing could take up to 10 days to ship.